First class postage stamps are the go-to postage stamp for mailing letters and small packages. 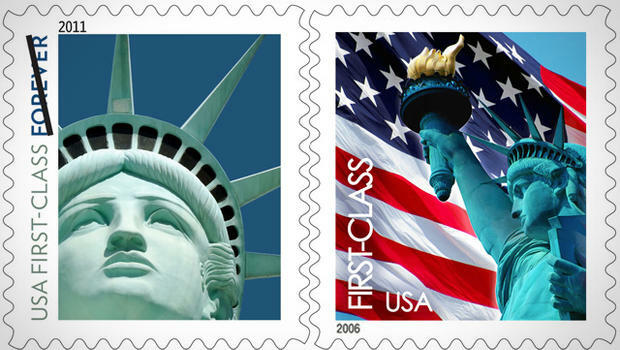 A regular first-class postage stamp costs $0.50 for a small envelope and about $0.21 for each additional ounce. This is the postage stamp price if you purchase them from a USPS office. If you buy a first-class postage stamp online, you will need to factor in shipping costs as well. Sometimes, you can find first-class postage stamps much cheaper when you buy them from online postage stamp vendors since they often have special deals or promotions for their customers. When you buy first-class postage stamps online, make sure you are buying from a USPS authorized vendor. If you are unsure which vendors have a USPS license, you can choose from our list, below. Where Can You Buy First Class Postage Stamps Online? Stamps.com is the ideal place to buy first-class stamps online. You can print them yourself, at home. And since they often have promotions, the cost of a postage stamp from Stamps.com may actually be lower than what you would be paying for a stamp at a post office. You can easily buy first-class postage stamps from Amazon.com. They have a wide selection of designs to choose from. Prices may vary from those provided by USPS. You may also have to pay additional fees for shipment. The main advantage of using Ebay.com to purchase first-class postage stamps is that you can browse through a large number of designs. It’s relatively easy to find a good price for a stamp, however, you’re unlikely to find anything cheaper than you would at the post office. If you are a collector in search for rare and valuable stamps, however, this is the place to go. You can order first-class postage stamps from Walmart’s online store. Unfortunately, they only sell postage stamp booklets, and the smallest ones have 10 first-class postage stamps. So, if you’re only interested in buying one postage stamp, this might not be a good option. Endicia is a subsidiary of Stamps.com that allows you to print USPS stamps from your computer without any special equipment. What’s great about this service is that you can enjoy discounts not available at the Post Office. Where do you purchase first class postage stamps from? Let us know in the comments section below.